MEA official says it’s not a gag order but a routine reminder to foreign journalists on travel to ‘protected areas’. New Delhi: The Central government has issued an “advisory” for foreign correspondents working in India, reminding them of a “dormant rule” that prohibits them from travelling to certain areas, including parts of Jammu and Kashmir, without permission of the government. “Travel to these protected/restricted areas without prior approval/special permission may cause unnecessary access related issues resulting in inconvenience for the journalists,” the letter read. Foreign correspondents have also been asked to provide “advance information, in requisite format” to the MEA before their visit since that will help it in “facilitating/arranging special permit from relevant agencies, where it is required”. According to the Foreigners (Protected Areas) Order, 1958, the whole of Arunachal Pradesh, Manipur, Mizoram, Nagaland, Sikkim, and parts of Himachal Pradesh, Jammu & Kashmir, Rajasthan and Uttarakhand have been declared as “protected areas”. “We are going to take this up with the MEA and MHA,” said Venkat Narayan, president of the Foreign Correspondents’ Club (FCC). “India is the largest democracy, so the government shouldn’t be imposing any restriction on the media,” he added. While foreign correspondents acknowledged that the rule has always existed, they never actually expected to apply for permission to go to Kashmir, they say. However, after this letter was written, there have been instances when the government has delayed permission to foreign journalists to travel by several weeks, thereby preventing them from reporting from the Valley in time, ThePrint has learnt. “This rule has been there on the book, but nobody ever mentioned it to us …So many foreign correspondents travelled to Kashmir during the floods, none of them took any permission,” a foreign correspondent, who did not wish to be named, said. While they were always required for permissions to travel to regions in the northeast, going to Kashmir never required any permission, the correspondent explained. There always used to be officials from the home ministry — the nodal ministry for all issues pertaining to internal security — at the Srinagar airport, and they would be monitoring foreign correspondents, the journalist said. “But nobody ever said ‘what are you doing here’ or ‘do you have permissions to come here’ or turned us back from Kashmir,” the correspondent added. 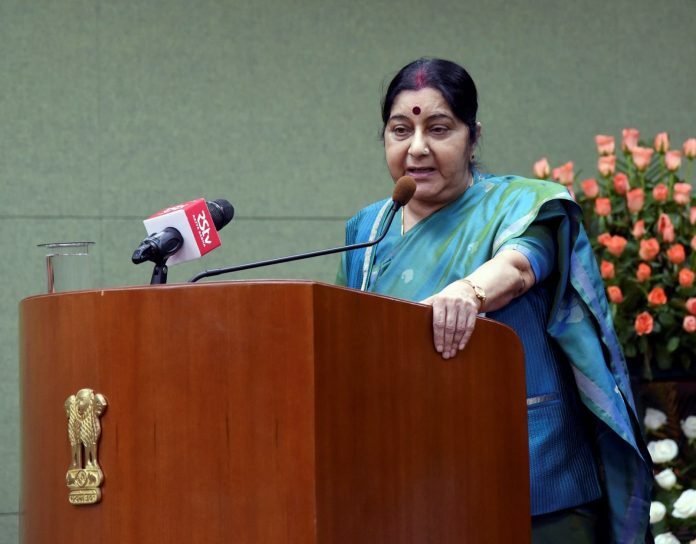 However, dismissing concerns that the letter is a gag order on foreign media from reporting on Kashmir, an MEA official said that the ministry sends out these notices regularly. “Advice on the restricted and protected areas that may be visited by foreign journalists with prior approval from the government of India is issued from time to time based on inputs from the MHA,” the official said. The official also shared an email sent by the MEA in December 2016 asking foreign journalists to apply for a “special permit”. However, while the earlier email was plainly-worded, the recent letter makes mention of journalists not seeking prior permission before travel. According to sources, the MEA sent a letter and not an email this time around so that journalists don’t miss it.